education and discussion of difficult airway management scenarios. Expertise in airway management is important to every medical specialty. Maintaining a patent airway is vital while providing adequate oxygenation and ventilation. Failure to do so for even a brief period can be disastrous. Difficulty in managing the airway is the single most important cause of major anesthesia-related morbidity and mortality. the single largest category of anesthetic-related injury is respiratory events. 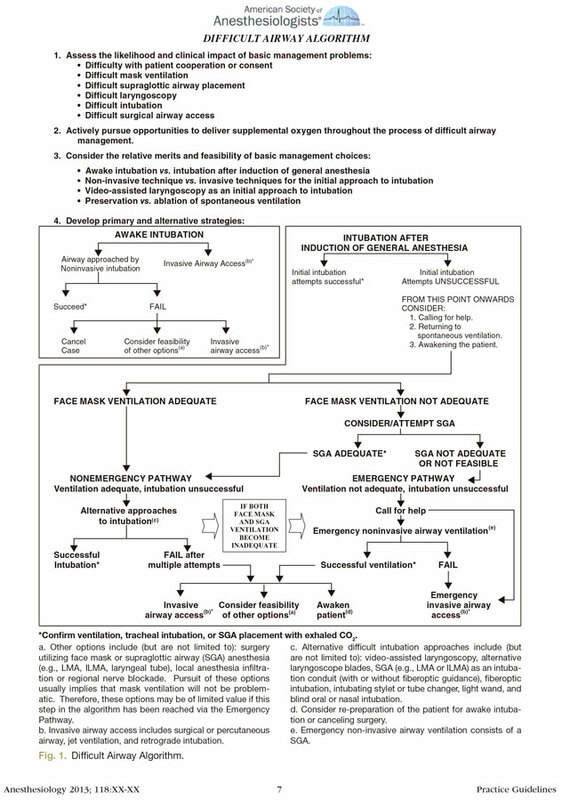 Based on these evidences, the American Society of Anesthesiology(ASA) published recommended guidelines for dealing with the airway. Clinical Anesthesia / Editor: Barash, Paul G.; Cullen, Bruce F.; Stoelting, Robert K.